The worldwide spillage of fossil fuels causes an ever-increasing environmental concern due to their resistance to biodegradation and toxicity. The diesel fuel is one of the derivative forms of petroleum that is widely used in the world. Its composition has many aromatic compounds and long hydrocarbons chains, both persistent and hazardous, thus requiring complex microbial dynamics to achieve full biodegradation. At this point, biodiesel has advantages because it is produced from renewable sources. It also has a relatively fast biodegradation. Biodiesel formulation chemically varies according to the raw material used for its production. While vegetable oils tend to have homogeneous proportions of linoleic and oleic fatty acids, animal fats have an heterogeneous distribution of stearic, palmitic and oleic fatty acids. 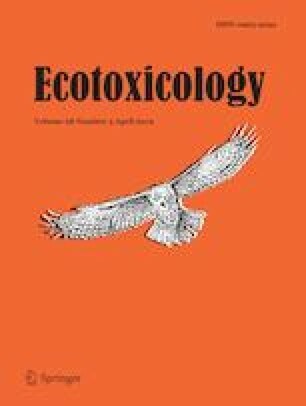 As some studies have already detected the toxic potential of biodiesel from vegetable oil, this study sought information on the phytotoxic and genotoxic potential of animal fat-based biodiesel and compare it with fossil fuel as diesel fuel and crude petroleum. The impacts on the microbial activity of soils contaminated with biodiesel, diesel fuel and crude petroleum were performed by the dehydrogenase activity. Phytotoxicity tests were performed with Eruca sativa seeds and genotoxicity bioassays with Allium cepa seeds. The results showed a rapid assimilation of biodiesel by the autochthonous soil microorganisms. Soil contaminated with either diesel or crude petroleum inhibited the root and hypocotyl elongation of E. sativa. Overall, petroleum contaminated soils showed higher genotoxic potential. Biodiesel from animal fat was rapidly assimilated by soil microorganisms and did not present significant phytotoxic or genotoxic potential, but significantly reduced the mitotic index of A. cepa roots. Our results showed that biodiesel from animal fat have rapid biodegradability. Biodiesel also led to less impacts during seed development and lower genotoxic potential when compared to crude petroleum and diesel fuel. In addition, biodiesel from animal fat does not present the same toxicity demonstrated by biodiesel from soybean-based biodiesel described in current literature. This study was financially supported by FAPESP [Grant number 2013/13813-0]. This article does not contain any studies with humans or with animals participants performed by any of the authors.